Very pleasant music that connects and engages. Here is a very fine introductory collection of works by a composer new to me; and it is genuinely pleasant, direct and uncomplicated music with an appeal to all. Brian Wilbur Grundstrom was trained as a pianist at Gettysburg College and studied composition with John David Earnest. He is largely self-taught as a composer; one with a gift for melody and a very direct and appealing style. Brian’s music, in this collection, has a very nice and mostly unfettered sound to it; sounding in places like wind ensemble repertoire and, at other times, very theatre ready; conducive to dance and film scores (which he has apparently done much of.) He is also apparently presently working on an opera. One interesting fact about this album, though, is that the Omega Recording Studios is an educational and audio engineering facility and Grundstrom had assembled this group, led by the fine Erik Ochsner, specifically to record these works. This really isn’t a standing ensemble. It should be noted, too, that – actually – American Reflections for strings and harp is presented here in a recording by the Millennium Orchestra under Robert Ian Winstin. There is certainly enough appeal in these works to hope that Grundstrom will get some wider actual programming and not have to assemble his own ad hoc group to get his music played. I enjoyed all of this music. The opening work, Contentment, Poem for Orchestra, is really quite beautiful and a bit sentimental with a feel of an unknown film score to it; rather Copland-esque. Jubilation! Dance for Orchestra is rather self-explanatory with a genuinely uplifting vibe and the scoring really sounds rather like band/wind ensemble music; such as some of the work by Ron Nelson or Jim Cohn. The Suite for Chamber Orchestra is in three movements: “Before The Fall”, “Avalon” and “Celebration!” The work was nearly finished when the 9/11 attacks occurred so the initial “Before the Fall” is a reference to the collapse of the ‘twin towers,’ as well as to the last days of summer. “Avalon” refers to King Arthur’s island of healing; especially after a traumatic event and “Celebration” is, as the composer explains, is an expression of the “joy and celebration of life that we need to express after coming to terms with the sadness and disappointments that are also a part.” This movement, too, had a bit of a concert opener or wind ensemble quality to it. The net result is a very attractive and appealing half-hour work. American Reflections for Strings and Harp is understandably infused with an Americana tinge that shifts in tone from a very country-like dance to a folkish melody and a bit of melancholy before closing with the dance feel again. Although there is no Copland reference and it doesn’t “sound” like Copland there is an Appalachian Spring structure and feel to this charming piece. The album closes with Chenonceau, the name of a French castle in the Loire Valley, and uses a 3 + 3 + 2 meter which the composer admits a fondness for (used also in Celebration.) The work nicely portrays a spring day in the French countryside, where the composer traveled to and found the source of his inspiration. I had never heard of Brian Wilbur Grundstrom but I liked this music. Who knows if symphony orchestras will take an interest in these works and others (I would like to hear his opera whenever it come to fruition) but I do hope Grundstrom remains open to both the film score and school music market for there is much to admire here including both listenability and playability. An Orchestral Journey Excerpts from Brian Wilbur Grundstrom on Vimeo. Quella di Brian Wilbur Grundstrom si presenta come una musica ora gioiosa e leggiadra, ora malinconica e riflessiva, ricca di belle linee melodiche. Lo stile tonale e descrittivo sembrerebbe molto adatto ad un commento per immagini, grazie alle suggestioni che riesce a trasmettere all’ascoltatore. Il compositore raccoglie indubbiamente l’eredità della musica americana di tradizione coplandiana, molto evidente in Celebration! e in American Reflections For Strings and Harp, mentre in Jubilation! Dance For Orchestra forse una delle composizioni più interessanti e accattivanti del CD, vengono messe in evidenza le forti connotazioni ritmiche. L’orchestrazione dà molto spazio al timbro ed al colore degli archi, assolutamente predominanti nella maggior parte dei brani, con incursioni ben delineate dei legni e degli ottoni spesso trattati in modo solistico. Il dono per la melodia e la musicalità intima ed immediata permeano molte delle composizioni contenute in questo CD che risulta, nel complesso, di piacevole ascolto. Mr. Brian Wilbur Grundstrom's music is at times joyful and "pretty", at times melancholic and reflective, and is rich with beautiful melodic lines. The tonal and descriptive style is very well suited for imagery, with various suggestions conveyed to the listener. The composer undoubtedly works in the tradition of Copland and American music, which is especially evident in Celebration! and American Reflections for Strings and Harp. Jubilation! Dance for Orchestra is maybe one of the most interesting and catchy compositions in the CD and shows strong rhythmic qualities. The orchestration in most of his compositions pays much attention to the timbre and the color of the strings, accompanied by the presence of the woodwinds and brass used in solo roles. Mr. Grundstrom has a gift for melody and for a musicality that is both intimate and immediate, which is displayed throughout the compositions of this very enjoyable CD. If the five compositions featured on An Orchestral Journey are representative of Brian Wilbur Grundstrom's work—and it's a safe bet they are, given that they span the years 1999 to 2013—no one will mistake a piece by him for one by Webern or Boulez. Grundstrom, in fact, has more in common with a composer like Berlioz, Holst, or Copland than someone beholden to a particular school or system such as serialism or minimalism. Yet, interestingly enough, Grundstrom's adherence to a traditional tonal style makes him something of a radical in 2016: composing music that's so accessible constitutes some small act of rebellion, though it's important to emphasize that there's no hint of calculation or cynicism in play; on the contrary, one comes away from the recording fully convinced of Grundstrom's sincerity. 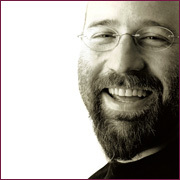 A versatile and awardwinning composer, he's written for orchestra, opera, film, theater, chorus, and chamber ensembles, and is currently writing an opera based on Hemingway's For Whom the Bell Tolls. His first orchestra work, 1999's Contentment, Poem for Orchestra memorably captures the melodic and lyrical dimensions of his style, the setting using the conventions of the “tone poem” to explore an abundance of orchestral colour and emotional expressiveness. For eleven minutes, the music flows elegantly, the composer drawing on the polyphonic potential of the orchestra's string, woodwind, and horn sections to paint the scene. As symphonically rich, Jubilation! Dance for Orchestra is suitably celebratory in spirit and rhythmic in design, with this time the resources of the percussion section exploited to accentuate the music's insistent drive. The combination of pizzicato strings and harp give 2009's American Reflections for Strings and Harp an appealingly lighthearted buoyancy during its opening minutes, even if darker shades gradually thread their way into the composition via an ominous waltz theme. The most recent work, 2013's Chenonceau is named after a castle in France's Loire Valley that's known for the beauty of its gardens, and Grundstrom's arrangement vividly conveys the visual splendour of the setting. But of the five compositions, it's the Suite for Chamber Orchestra (20012002) that perhaps best captures the scope of Grundstrom's soundworld, seeing as how its three movements encompass such a panoramic emotional range. Written when he was living in Brooklyn with a clear view of the twin towers, the opening “Before the Fall” grows progressively more turbulent as it advances, as if in anticipation of the horrific event to come. The brooding tonalities that emerge in the first part deepen to Bartoklike degrees in “Avalon,” the title of course alluding to the island of healing King Arthur turned to after battle. In plunging into such dark waters, the movement features the album's most harmonically daring writing and is permeated by the emotional weight of tragedy, even at certain moments verging on overwrought. Not surprisingly, in conveying the joy and exultation that can eventually follow a period of mourning, the closing movement “Celebration!” feels worlds removed from the sadness of “Avalon,” especially when it culminates in a rousing, Coplandesque climax. In contrast to the brooding portraits of composers typically presented, the photographs on the release's packaging show Grundstrom beaming, and it's easy to understand why. An Orchestral Journey is a recording that not only speaks powerfully of his gifts as a composer and orchestrator, it offers a splendid portrait drawn from fourteen years of creative production. That his music is so easy to warm up to certainly adds to its appeal. Brian Wilbur Grundstrom composes for the concert hall, stage, and screen. The present album brings together five of his orchestral works from 1999-2013. His music tends to be fairly tonal with a bit of a cinematic quality to the style as well. The music is performed by the Omega Studios Orchestra which feels just a tad short of strings at times for the rich music written here, but that is a very small problem. Contentment (1999) was the composer’s first orchestral work. This very gentle piece has a fascinating melancholy that is explored in delicate wind solos against strings. The piece explores an almost bittersweet melody that is scored almost like what one might find in Carter Burwell. The music has a rather intimate quality and immediately grabs the ear of the listener. It is sort of a gentle journey with an almost bucolic feel that suggests peaceful vistas. Some may even here a touch of Americana in the style. There is a beautiful waltz moment that has a rather sudden harmonic shift. One can certainly see how comparisons to Barber have been made about his music at times. After this rather lyrical and restrained opening, we head into the more exciting Jubilation! Dance for Orchestra (2000). The music has a lyrical side as it begins with a variety of meter changes providing some of the interest. It lends the feel of travel through a variety of scenes. The piece is quite engaging, though I hesitate to say that it feels like it should move a bit faster at the front end at times. The melodies are still quite wonderful and there is a nice conclusion. We are in the realm of Daugherty and Puts here. A three-movement Suite for Orchestra (2001-2002) serves as a centerpiece on the album. “Before the Fall” opens the suite and here it feels like Grundstrom has chosen to revisit the melodic ideas of his earlier concert work but with an almost Baroque-like intensity as the piece opens. This continues to grow in intensity as the movement moves towards its emotional final bars with insistent rhythmic pulses. “Avalon” is inspired by the mystical island of the King Arthur legends. It has a rather somber quality and mysterious feel with a five-note motif idea being moved about the orchestra against a two-note ticking idea. Of the music on the disc, this feels more like a concert version of some film scene (it recalled Roy Budd’s Sinbad music! ), but feels just a bit overlong. The final movement, “Celebration!” lends a more upbeat conclusion to the work and tempos here feel good. This movement in particular has a very Copland-esque ballet feel. The intricate writing comes off quite well here as ideas are explored between the strings and winds building into a wonderful “American Experience”-like conclusion. The American Reflections for Strings and Harp (2009) is the one work performed with the Millennium Orchestra. The composer studied at Gettysburg College and the music here takes on that looking inward sense of one of the key Civil War battles. Things open with a folk-like idea that starts with a bit of pizzicato string writing before a florid violin line appears. Beautiful lyricism guides some solo lines as the plucking about them adds some fascinating textural support. From this somewhat light and airy feel, the music begins to gain a bit more darkness as it shifts to minor harmonies and a melancholy waltz. The style of the work again recalls a kind of mid-20th century Americana feel. The more light-hearted music gives the work an upbeat ending, though one wonders if stopping short of this might be a better dramatic move. There are a number of these harp and string works in the repertoire and it would be great to see this one added to some of those recordings to gain a bit more exposure and to hear Grundstrom’s approach alongside more familiar pieces. Chenonceau (2013) closes the disc and is the name of a French castle in the Loire Valley. In this work, Grundstrom explores different ways to combine metrical stress with in a common meter. This compound meter exploration (3+3+2) is then also supported by the way melodic threads are tossed about in the orchestra. A fugue-like section brings things to a close. This is another fine example of Grundstrom’s command of the orchestra and crafting rather engaging musical vistas. Grundstrom’s music is quite accessible with lyrical writing and tonal harmonies that immediately engage the listener. Even when the music may veer into a more dissonant moment, the dramatic impulse it is following does make sense. While the music is well-performed it feels very hesitant at times. It can also lead to some sections feeling a bit clinical. One wishes for perhaps the likes of Buffalo or Nashville to do this music justice, or even Erik Ochsner’s own ensemble the SONOS Chamber Orchestra which has performed Grundstrom’s music to enthusiastic audiences. So with a sympathetic conductor, this recording at least gives those of us outside of the D.C. area a chance to enjoy his music. There are times though when it feels like tempos could certainly move at a better clip. The slower music comes off very well though. American composer Brian Wilbur Grundstrom writes a variety of emotional, popularly approachable works for chorus, theater, film, and orchestra, and he presently is preparing an opera. This album is a retrospective of his orchestral pieces since 1999. I verified that the Omega Recording Studios, an educational and audio engineering institution, had gathered an ad hoc orchestra, led by Erik Ochner, since Grundstrom often works with computer programs that electronically merge and process samples from the Vienna Symphonic Library and other sources. (There really is no regular Omega Studios Orchestra.) One track, however, is from a recording by the Millennium Orchestra under Robert Ian Winstin. The leading composition, Contentment, Poem for Orchestra, is an 11-minute lyrical stroll from melancholy and regret to satisfaction and acceptance. Next, is Jubilation! Dance for Orchestra, which is somewhat self-evident, except that the dance is the mood of light-heartedness associated with travel to exotic locales. Mallet percussion, atypical time signatures (as 5 beats per measure), oboe and English horn double reed sound, and assorted wood percussion add foreign color, while the brass add the excitement. The Suite for Chamber Orchestra has three movements: Before The Fall; Avalon; and Celebration! The references are to 9/11 and the collapse of the 'twin towers,' as well as the last days of summer; King Arthur's island of healing; and the manner persevering humans emerge from calamity and set-back. Thus, the dark and foreboding first section continues at the start of the second, with bass and cello notes rising and falling as a sad heart-beat. The battle-wounded and weary seek shelter and refuge. The tempo accelerates with heavy beats to a tense feverish climax and slow exhale and return to cellos and basses. Time heals and time softens memories; woodwinds now sparkle and the orchestra propels forward with rich harmonies, but the celebration comes not with brass flourishes (orchestration requires only one French horn) but with repetition and brightness of strings, flute, and clarinet. Because Grundstrom earned his music degree at Gettysburg College, American history and Americana smoothly entered and infused his American Reflections for Strings and Harp. Neither Sousa nor Copland in outlook, the piece begins with the joyous spirit of a barnyard dance, but then a Shindler's List-like folk melody enters and the mood shifts to shadows in waltz time. After a second's pause, the worrisome atmosphere fills with fragmented clouds and an East European lament, but suddenly a Scandinavian-like dance develops, and the piece concludes as it began, light and alit. The tone poem Chenonceau, a French castle in the Loire Valley, is characterized by its 3 + 3 + 2 meter, its elegant melodies, and varying texture through different combinations of instruments. Grundstrom has not written a ballet, but his storytelling art would easily lend itself to the dance. It is easy to understand how his music pleases a wide audience. The melody continues to have a role in the tastes of the public good music lover. And at universities in the United States, there is absolute freedom for the composition students find their authentic musical language. The public finds what the want and can find it easily. Brian Wilbur Grundstrom, who trained as a pianist at Gettysburg College and studied composition with John David Earnest, composed melodic music, nice, sensitive and very close. The listeners are hooked immediately. He says clearly understand what is the essence of tonality, the ratio of tonic and dominant. And these essentials guide its composition. He has written music for orchestra, opera, cinema, theater, choir, piano and chamber ensembles. In this charming album, which is entitled An Orchestral Journey, the author includes five orchestral works: the author includes five orchestral works: Contentment , Poem for Orchestra ; Jubilation! Dance for Orchestra , Suite for Chamber Orchestra , American Reflections and Chenonceau. The works are arranged chronologically. This time the recording was made in recording studios Omega Studios, one of the best engineering schools offering sound better services for students. A school that seeks the excellence of its recordings. The author chose the Millennium Symphony Orchestra and the Omega Studios, orchestras own school. The author is interested in reaching the public through different moods. Use rhythmic energy to express joy and rapidly changing metric that creates a certain dynamism. His orchestrations certainly reminiscent of film music. The Millennium Symphony Orchestra and the Omega Studios, their respective directors, have been asking at the height of the composer, and even we can say that the musicians were able to extol its mission, emphasizing the sound of some minor aspects of the instrumentation. La melodia segueix tenint un paper preponderant en els gustos d’una bona part del públic melòman. I a les universitats dels Estats Units, es dóna absoluta llibertat per a que els estudiants de composició trobin el seu autèntic llenguatge musical. El públic busca allò que l’interessa i ho pot trobar amb facilitat. Brian Wilbur Grundstrom, que es va formar com a pianista a Gettysburg College i va estudiar composició amb John David Earnest, compon una música melòdica, agradable, sensible i molt propera. L’oient s’hi enganxa de seguida. Ell diu clarament que el que entén és l’essència de la tonalitat, la relació de tònica i dominant. I aquests elements essencials guien la seva composició. Ha escrit música per a orquestra, òpera, cinema, teatre, cor, piano i conjunts de cambra. En aquest disc encantador, que té per títol An Orchestral Journey, l’autor inclou cinc obres orquestrals: l’autor inclou cinc obres orquestrals: Contentment, Poem for Orchestra; Jubilation! Dance for Orchestra; Suite for Chamber Orchestra; American Reflections i Chenonceau. Les obres estan ordenades cronològicament. En aquesta ocasió, la gravació es va realitzar als estudis de gravació de l’Omega Studios, una de les millors escoles d’enginyeria sonora que ofereix els millors serveis per als estudiants. Una escola que busca l’excel·lència dels seus enregistraments musicals. L’autor va escollir la Millennium Symphony i l’Omega Studios Orchestra, les orquestres pròpies de l’escola. L’autor està interessat en arribar al públic per mitjà dels diferents estats d’ànim. Utilitza l’energia rítmica per expressar alegria i una mètrica molt canviant que crea un cert dinamisme. Les seves orquestracions, certament, ens recorden la música de cinema. La Millennium Symphony i l’Omega Studios Orchestra, amb els seus directors respectius, han estat a l’alçada del que demana el compositor, i, fins i tot, podem afirmar que els músics han sabut enaltir la seva comesa, ressaltant la sonoritat d’alguns aspectes menors de la instrumentació. There is much of interest as well on a new Navona CD of the music of Brian Wilbur Grundstrom – a release bearing the title, “An Orchestral Journey.” The travel here seems more to be personal for Grundstrom than connected directly to the audience: the five works on the disc, composed over a period of a decade and a half, show the composer exploring differing moods, styles and techniques. The works are arranged chronologically and provide some insight into Grundstrom’s changes in compositional emphasis, although the overall sound of the music is similar enough among the five pieces to indicate that Grundstrom has his own voice that recurs from piece to piece. The earliest work here is Contentment, Poem for Orchestra (1999), and it is a transformative tone poem in the tradition of, say, Richard Strauss’ Death and Transfiguration. However, what evolves here is mood rather than anything grandly philosophical. Jubilation! Dance for Orchestra (2000) is written in much the same mood throughout, although its rhythmic and thematic explorations eventually lead it to an even brighter and more upbeat conclusion. Suite for Chamber Orchestra (2002) is more emotionally varied than either earlier work, almost a “stages of grief” exploration, with tragic elements giving way to what sounds like acceptance and eventually to an expression of joy that seems, in light of what has come before, somewhat overdone. The work’s three movements make its progress clear: “Before the Fall,” “Avalon” and “Celebration.” But the finale, although it certainly provides a sense of relief, seems somewhat too bright after the first movements’ depth of feeling. American Reflections for Strings and Harp (2009) sounds like film music, energetic and nicely scored but somewhat superficial in its forthright evocation of varied feelings. Chenonceau (2013) is at something of an opposite pole, a subtle work using skillful orchestration and interesting instrumental combinations to provide contrast between strings and woodwinds. The title refers to a historic 16th-century castle in the Loire Valley of France that is known for its garden maze and the way it actually spans the River Cher. The quality of this piece is evident from the fact that it is not necessary to understand its title or know what referents it contains for a listener to be able to enjoy the work purely as music. This is a (+++) CD that, while it may not appeal to all listeners and does not offer material of uniform interest, shows a great deal of compositional skill and provides some very fine and sensitive performances of works by a contemporary composer whose solid craftsmanship offers much to be admired. 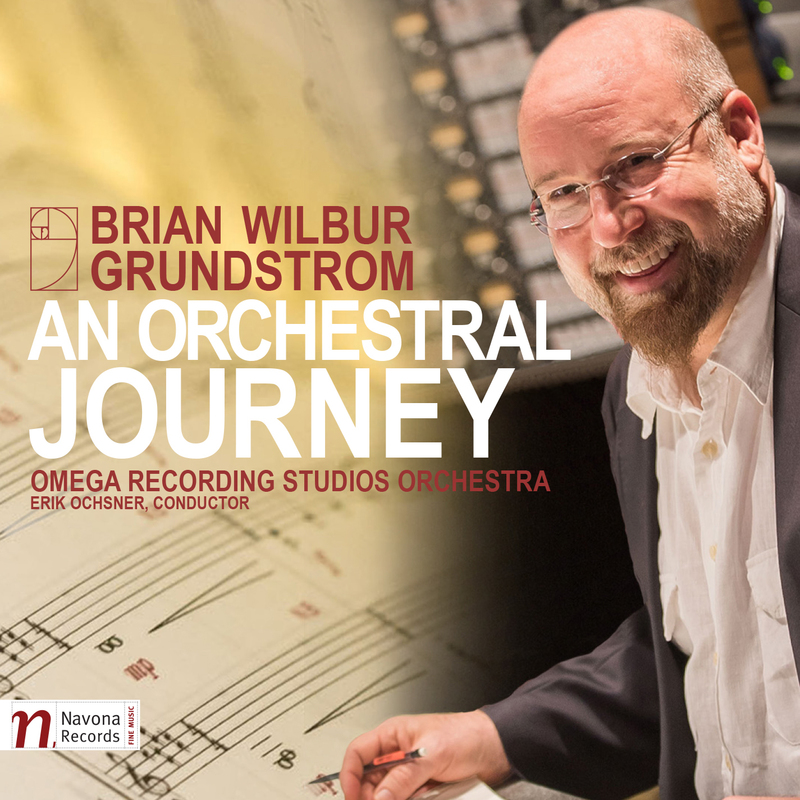 Brian Wilbur Grundstrom presents a modern collection of orchestral works that spans 14 years of his career. An Orchestral Journey is a conventional classical outing that will be warmly embraced by not only classical music fans, but also those that enjoy orchestrated soundtracks. Grundstrom has a skill in delivering music that has no filler material, no dull builds to something more interesting... What he delivers is almost 1 hour and 18 minutes of full on melodic music. In places it's rousing, in others it's patriotic and there are numerous melancholic segments, all making for a release that grabs your attention. There's no picking favourites. Each has it's own strong points - and no weak points. This is an album that you'll find hard to turn off once you start it. There are so many standout moments and, unlike a lot of composers who focus on a certain area of the orchestra to provide certain emotions, Grundstrom uses all parts of the orchestra, allowing the listener to appreciate how beauty and suspense can be created equally by all instruments. The album opens with 'Contentment, Poem for Orchestra' (1999), influenced by the 19th- and early 20th-century tradition of the “tone poem,” is an expressive transformation of mood from beginning to end, while 'Jubilation! Dance for Orchestra' (2000) illustrates Grundstrom’s tendencies to explore rhythm and meter, developing a lively and pastoral dance in a five-pulse meter, moving from a powerful introductory theme to an uplifting and joyous celebration. 'Suite for Chamber Orchestra' (2002) shows some of Grundstrom’s most abstract and harmonically adventurous passages on the album, expounding an emotional experience, from tragedy and anguish, to healing and acceptance, and finally to exultation and maturity. Demonstrating clear concertante style, 'American Reflections for Strings and Harp' (2009) uses rhythmic energy and orchestrations that suggest film scoring. And, finally, 'Chenonceau' (2013) takes its name from a castle in France’s Loire Valley and employs different instrumental combinations to carry the melodic ideas from one group to the other, contrasting the textures of the woodwinds and the strings.